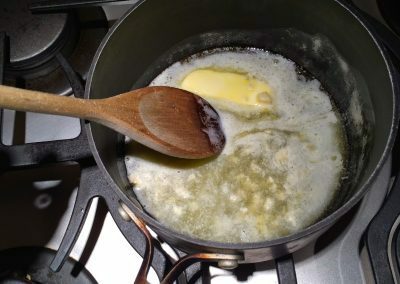 Heat oven to 400 degrees F. In a medium saucepan, melt butter over medium-high heat and add garlic. Cook, stirring, until just fragrant, about 30 seconds. 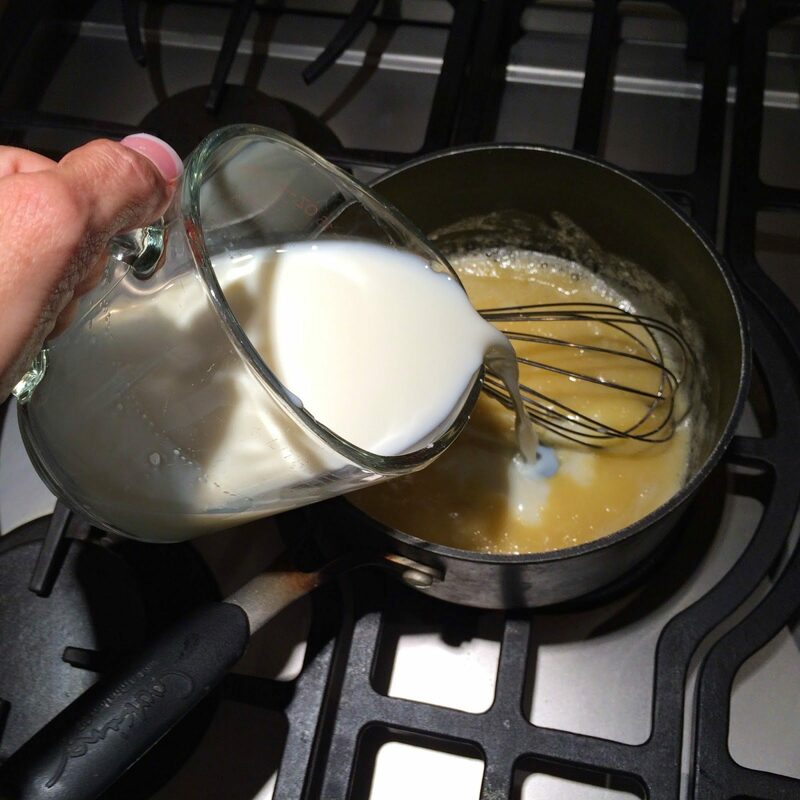 Stir in flour and slowly whisk in milk. 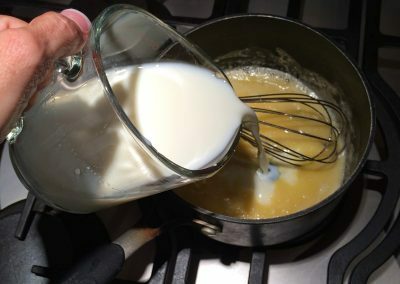 Cook, stirring constantly, until thickened, about 3 minutes. Remove from heat. 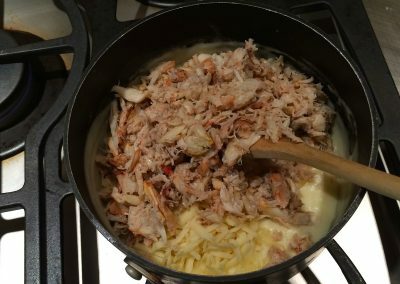 Stir in crab, 3/4 cup cheese and the juice. 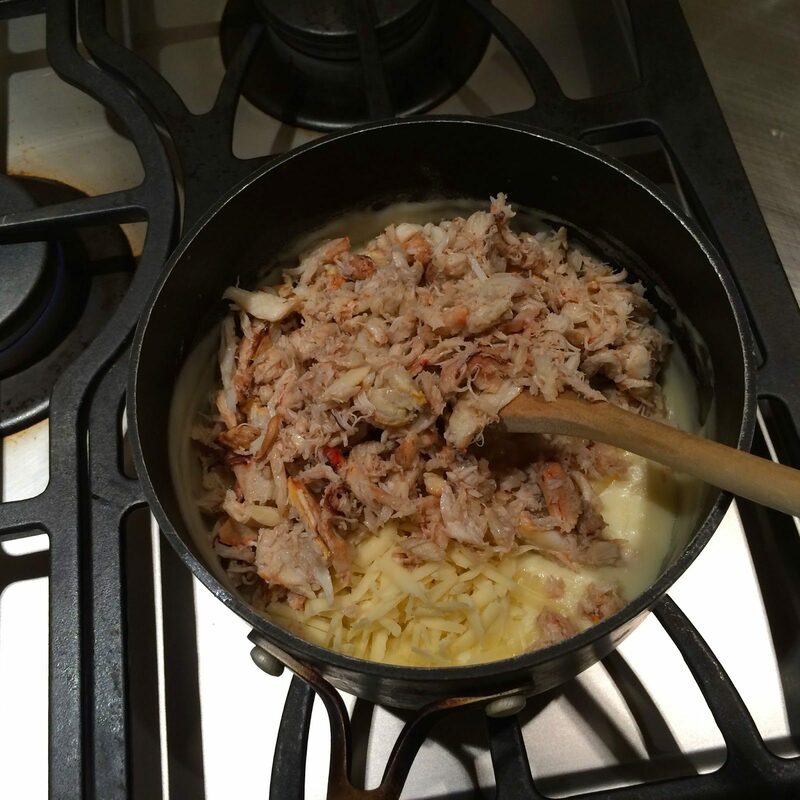 Reserve 2 tablespoons scallion and 1 tablespoon jalapeno; stir remaining scallion and jalapeno into crab mixture. 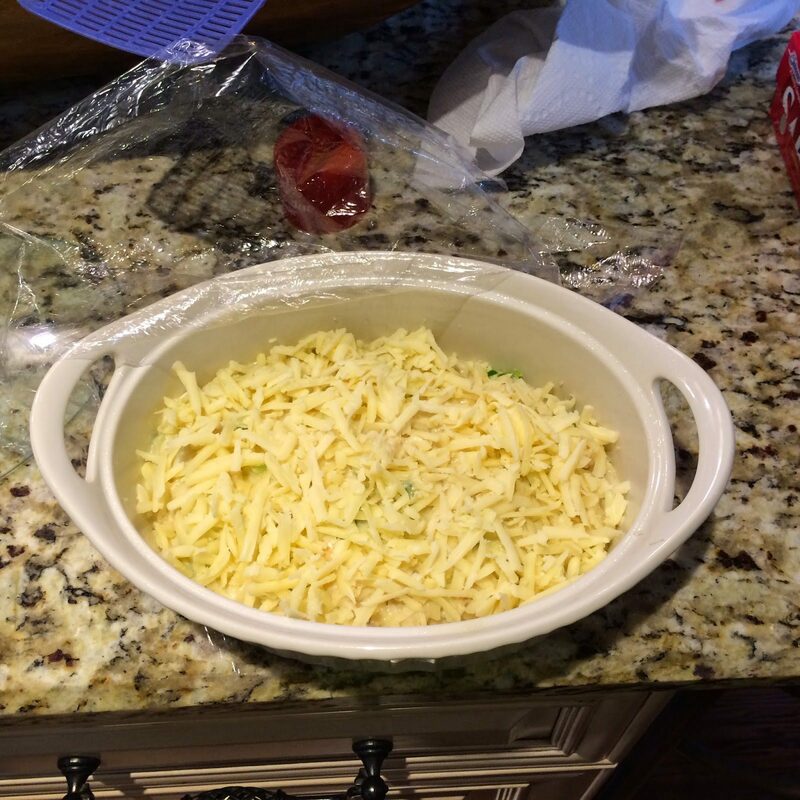 Transfer to a 1-quart baking dish and top with remaining 1/2 cup cheese. 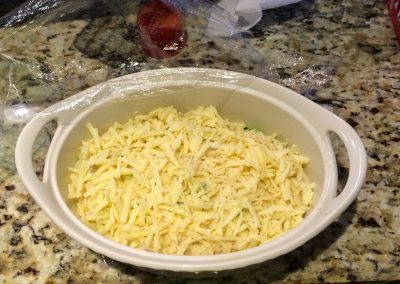 At this point the dip can be refrigerated. 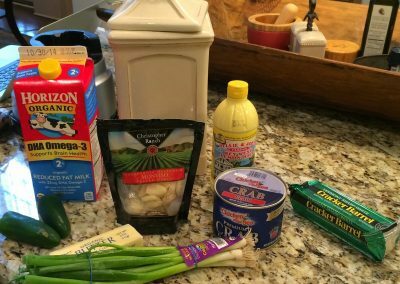 Simply remove from the fridge, and then follow the rest of the instructions. 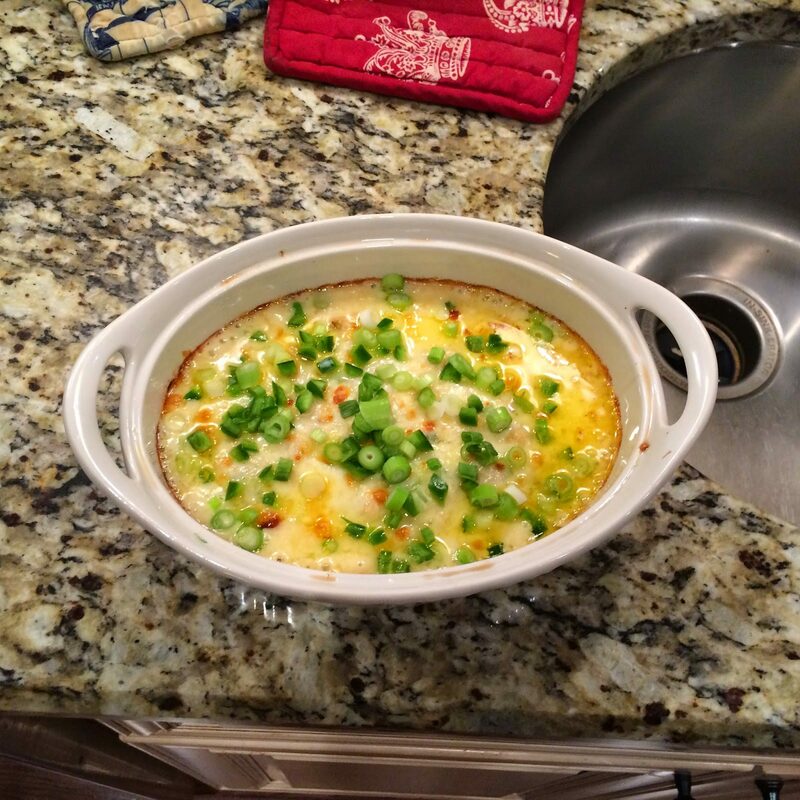 Bake until heated through, about 20 minutes. Broil 6 inches from heat until golden and bubbly, 6 to 8 minutes. 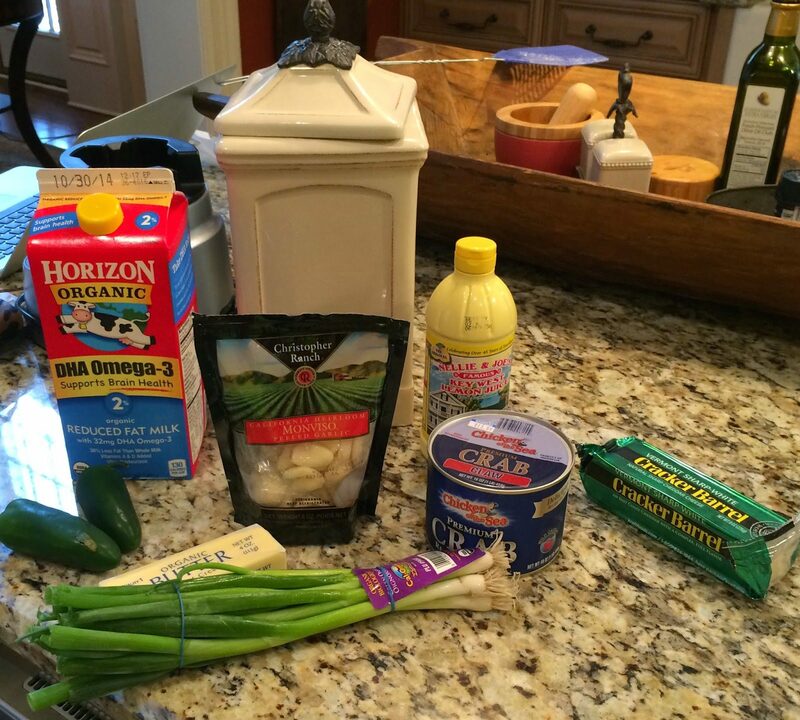 Sprinkle with reserved scallion and jalapeno. Serve warm. Makes 2-1/4 cups. 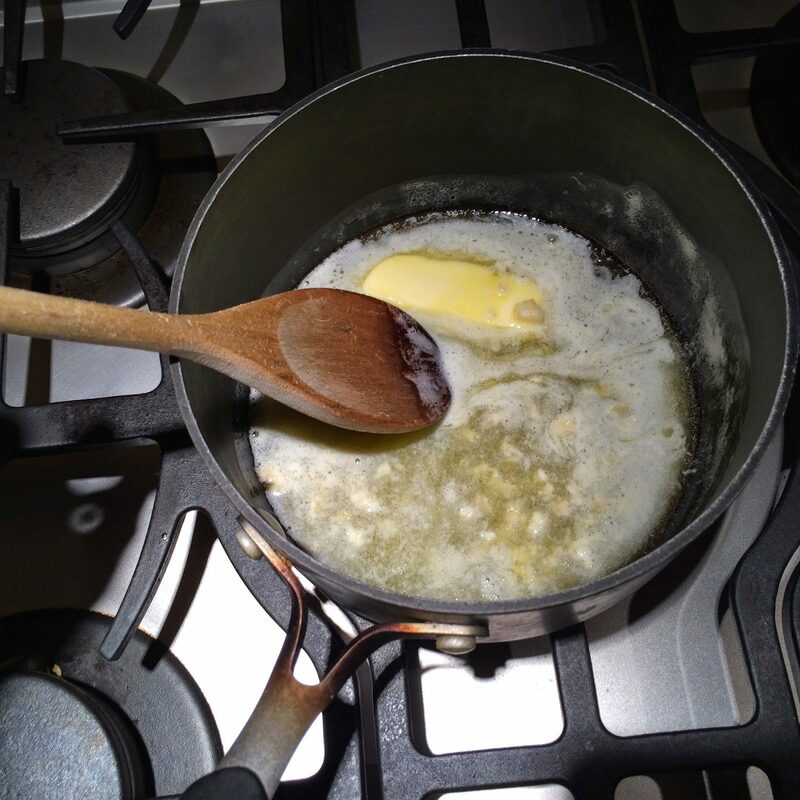 In a medium saucepan, melt butter over medium-high heat and add garlic. Cook, stirring, until just fragrant, about 30 seconds. Bake until heated through, about 20 minutes. Broil 6 inches from heat until golden and bubbly, 6 to 8 minutes. 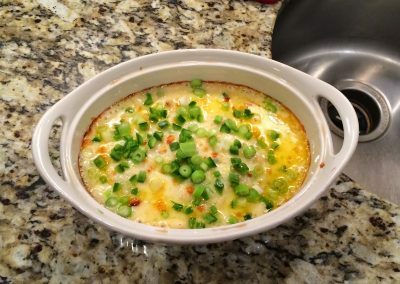 Sprinkle with reserved scallion and jalapeno. Serve warm.